Tomblin administration representatives are still putting the finishing touches on a rule to implement an increase in civil penalties that was part of the governor’s much-touched mine safety legislation passed last year, officials confirmed this morning. Under the bill, signed into law by Gov. 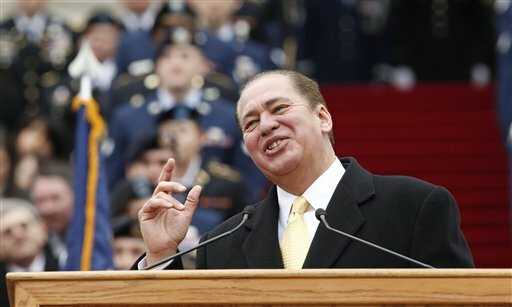 Earl Ray Tomblin last March, the maximum monetary fine for most mine safety violations was to be increased from $3,000 to $5,000. The state Office of Miners’ Health, Safety and Training has not been using its authority for the increased fines, pending finalization of the rule, agency director Eugene White said. “That will take place when the rule is promulgated,” White said. 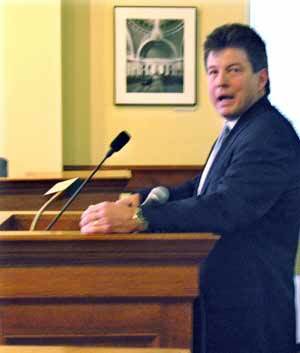 … This section of law raises the maximum penalty from $3,000 to $5,000. The change to this section was not intended to raise penalties across the board. All evidence behind this change to state law only references an increase in the “Maximum” penalty. My understanding is that rules are being drafted that would effectively raise all penalties, including the minimum penalty by approximately 60 percent. If you take a look at the initial rule, especially at Table 1 on the last page, it indicates that, through changes in the civil penalty formula used to get the maximum penalty from $3,000 to $5,000 — as mandated by the Legislature — state agency officials also ended up with very small increases in the other, non-maximum fines. For example, a violation that previously drew a $60 fine would not result in a $100 fine. A violation that previously brought a $504 fine would result in a penalty of $840. It is expected that the increase in the maximum civil penalty … will result in minimal impact on revenues because the maximum penalty was increased from $3,000 to $5,000 which is not a dramatic increase over the previous maximum penalty … while an increase in the maximum civil penalty does result in corresponding increases in the civil penalties for lesser violations … it is not expected that the increases will have a significant impact on revenue because again they are relatively minor.